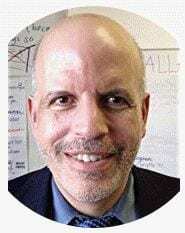 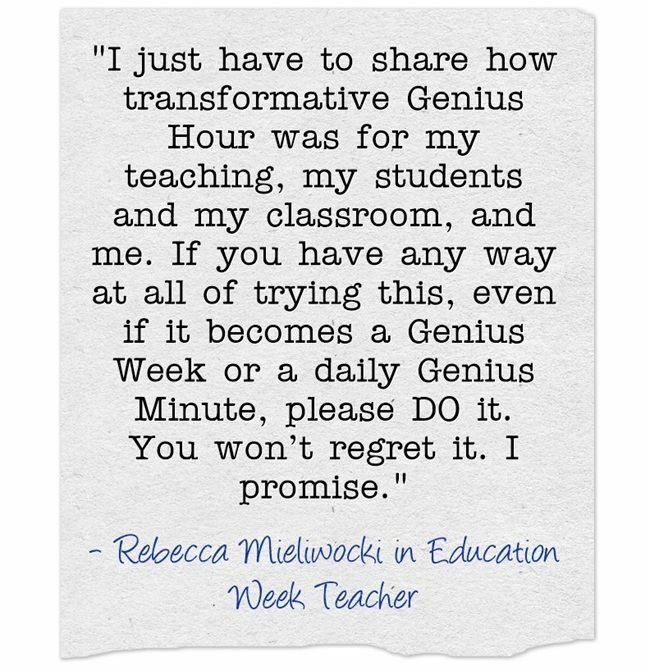 Genius Hours can be ‘Transformative’ is the headline of my latest Education Week Teacher column. 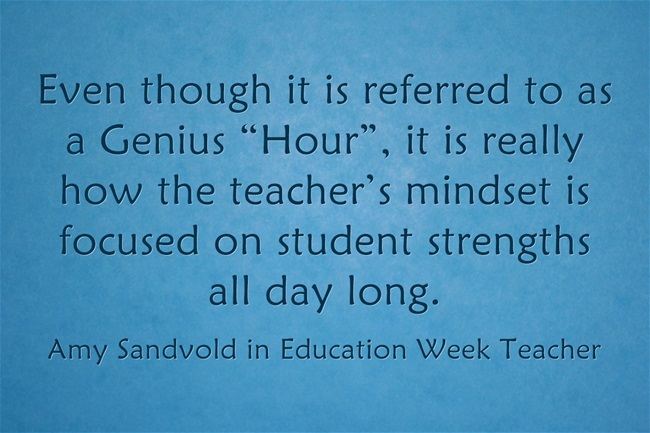 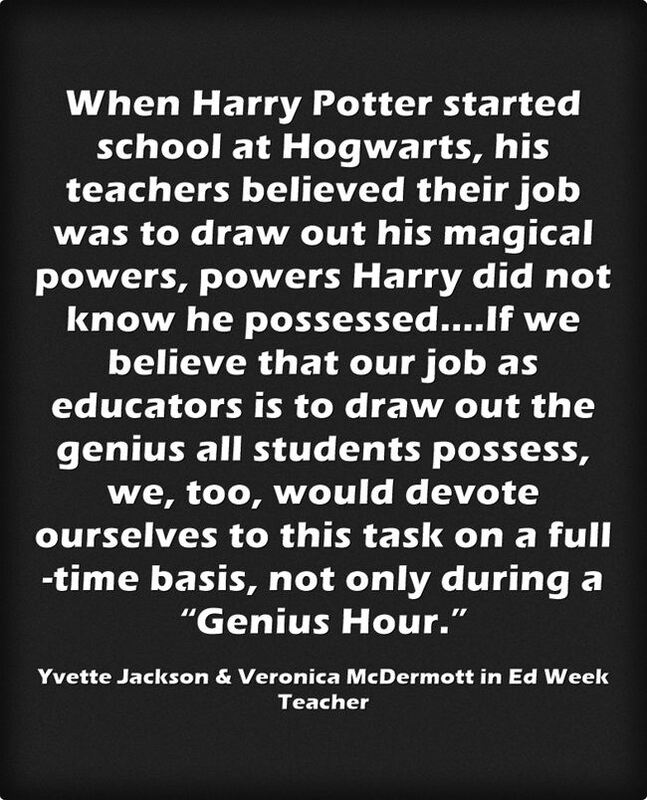 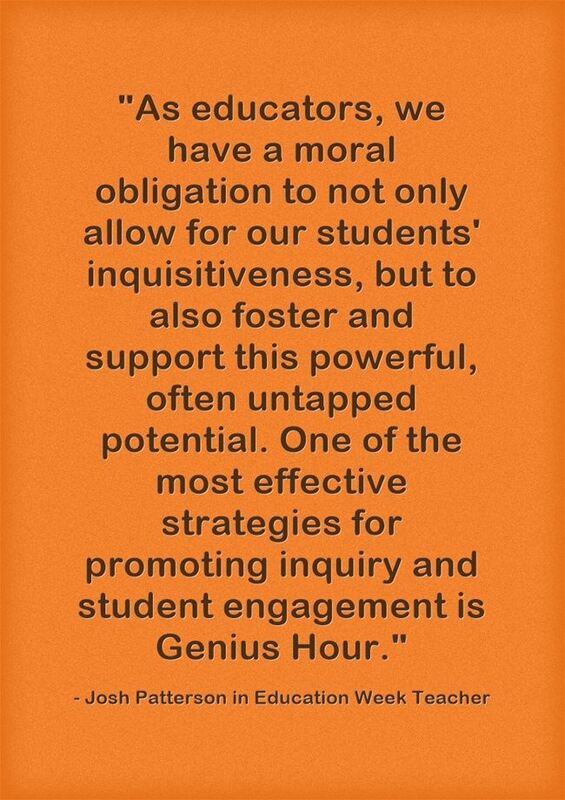 In it, Rebecca Mieliwocki, Gallit Zvi, Denise Krebs, Yvette Jackson, Veronica McDermott, Amy Sandvold, Josh Patterson and Maurice J. Elias share their responses on how to incorporate “Genius Hours” into the classroom. 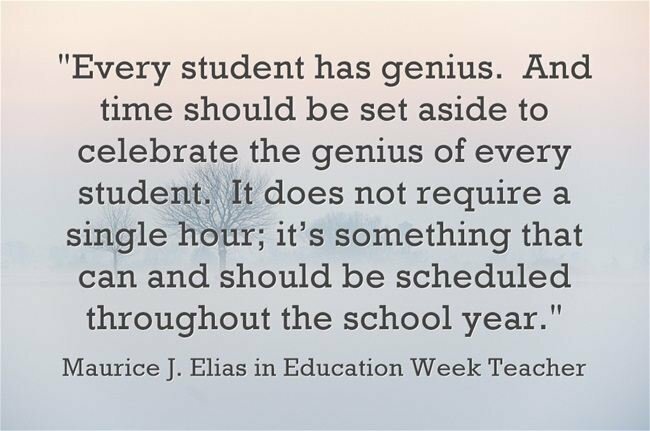 I’m adding it to The Best Resources For Applying “Fed Ex Days” (Also Known As “Genius Hours”) To Schools. 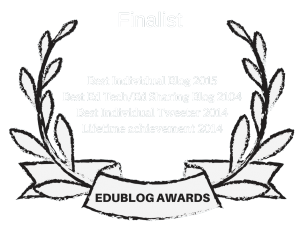 NextGuest Post: Great Free Online Professional Development For ELL Teachers On Sat. 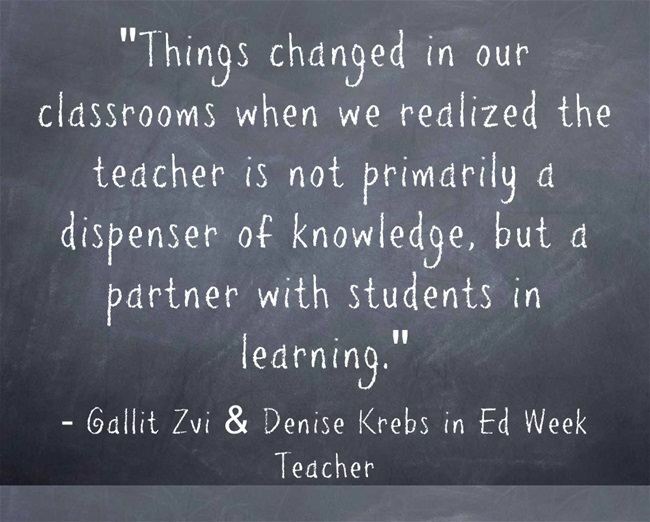 Morning, June 17th!